1. For the benefit of Russian speakers, Heli-Kit News is now available in Cyrillic text at Yevgeny Borissov's Heliborne. Yevgeny has also started a helicopter modelling chat-room/forum called Heliborne Dialogue. 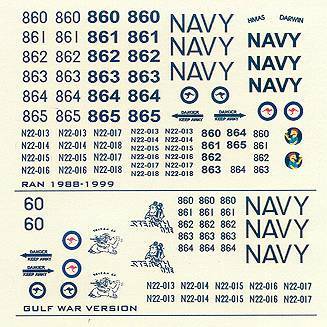 RAN-30 is a selection of markings for 1:72 Australian Navy AS-350B Squirrels, both low-viz Gulf War markings (including 'Taipan Go' and 'Stealth One') and regular markings with coloured roundels (including one with 'cartoons'). Serials are provided for six separate aircraft, N22-0013/860 through N22-018/865, some of them with several variations. 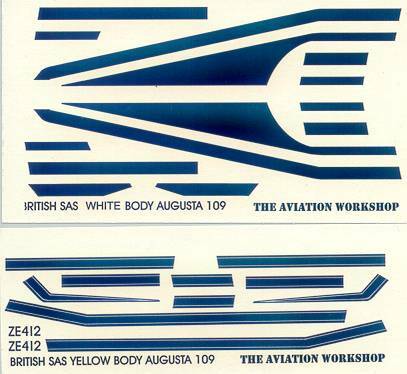 AVW-HD19 gives you markings for two 1:72 fluorescent orange New Zealand aircraft in 'Arctic' service (this should be Antarctic). 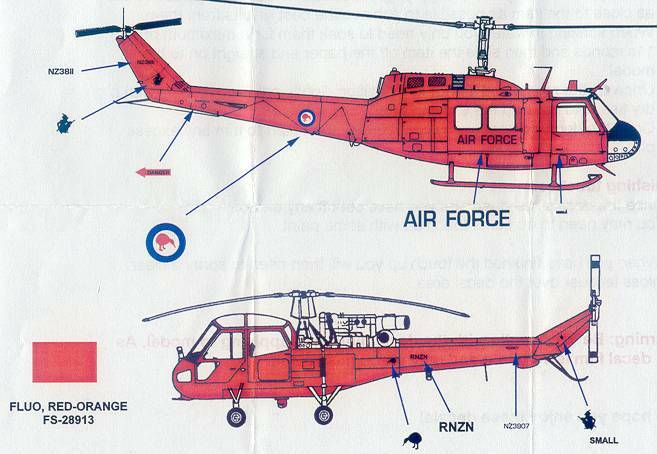 First is an UH-1H from RNZAF 3 Sqn., NZ3811, second is a 3 Sqn. 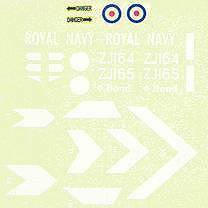 Naval Flight (RNZN) Wasp HAS.1, NZ3907. 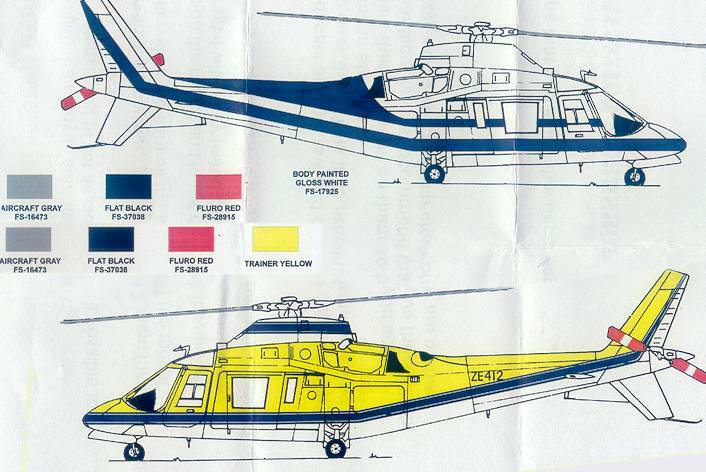 AVW-HD08 and AVW-HD10 give you a few of the many markings that the elusive British SAS Agusta A109's have worn. HD08 includes all the blue-black stripes and cheat lines for a gloss white example and for 'ZE412', which is yellow. HD10 includes dark sea-blue cheat lines and fin-tips for another scheme which is light grey with dark sea-blue on the underside and the top of the gearbox housing. All are 1:72. RAN-07 is available in both 1:72 and 1:48. These are the spectacular RAN 817 Sqn. 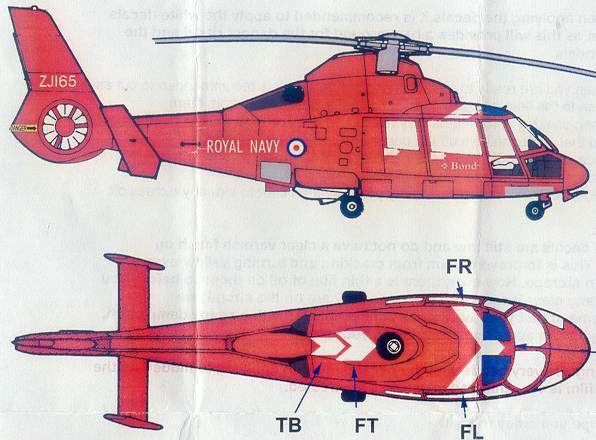 'Great White Shark' 50th Anniversary markings for the Sea King Mk.50. For a full illustrated review of these, go to Hyperscale. 3. Equipage have added to their range of replacement resin wheels with rubber tyres, these sets are both 1:72, and are available from Aviapress. 4. Amodel have released their 1:72 Kamov Ka-18 'Hog' #7252. The sprue carrying all the rotor parts, wheels, etc. is the same as that in the recent Ka-15 kit (HKN #122). A new sprue carries the somewhat longer fuselage, the cockpit, and the tail empennage. The markings are for one of the red, white and grey Aeroflot examples similar to that shown in HKN #116, except that the serial (CCCP-L0005) is carried on the vertical tail-fins. 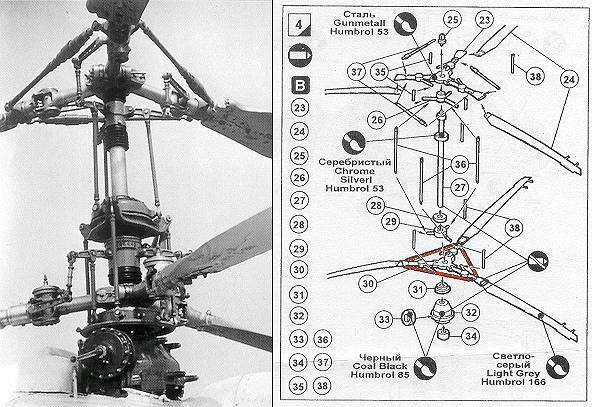 Note that the instructions in both the Ka-15 and Ka-18 kits rather confusingly show a rotor assembly with damper rods connecting the blade roots of each of the lower rotor blades. The kits do not contain these parts, and the real thing didn't have them either. The assembly diagram also shows both sets of blades rotating in the same direction. In fact the upper set rotates anti-clockwise when viewed from above, while the lower set goes the other way. The aircraft represented is 85-24450 from the US Army, 78th Aviation Battalion, Camp Zama, Japan. 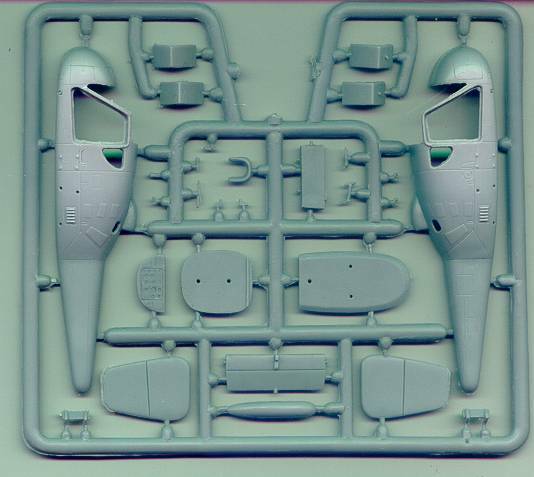 The plastic parts provided are the same as in earlier releases of the Hasegawa UH-60A, though many of them are not used, notably the external stores support system (ESSS) and all the associated tanks and weaponry. The colouring is not pure black & white, the dark colour is actually a very dark drab (paint mix 60% Mr.Color #12 olive drab, 40% black), possibly equivalent to the Mil-C-46168 'Aircraft Green' used on US Army Cobras. The decals give two alternative ways to achieve the colouring, you can either apply the large white decals with black lines, or you can paint the white areas and apply just the black cheat-lines, roundels, titles, etc. which are supplied separately. The decal instruction sheet doesn't explain any of this. Thanks to Colin Ritchie, Bob Sanchez (TwoBobs), Gary Madgwick (Model Alliance), Earl Martell (NKR), and especially to Yevgeny Borissov.